Paul Hewitt's first 2012 recruit signed his national letter of intent today, the first day of the early signing period. Shooting guard Patrick Holloway, who we talked about in detail here back in August when he verbally committed and now the process is official. 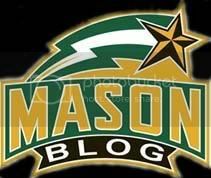 Farello draws comparisons between Holloway and one of the greatest players in Mason history, whom he had a chance to coach in his pre-collegiate days. "I knew Lamar Butler very well and coached him in AAU - Patrick reminds me a lot of Lamar," Farello said.